— Starting since 2015 we deliver our products to the EU countries, Israel Malaysia and Singapore. For over six years we are making Russian moms happy and have proven our reliability and high quality of our products. 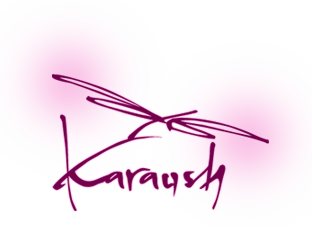 Today in Russia Karaush™ is the only manufacturer of ergonomic baby carriers made of brocade materials. We invite to cooperation business owners, stores, retail outlets and wholesale warehouses. Making your order from anywhere in the world in just several clicks. Our store is open 24 hoursaday, can be accessed from any device and allows you to place your order in a few minutes. Our own materials and large volumes of products enable us to give good discounts to our partners. Our partners receive information about our deals before they go out to general public. Up-to-date photo gallery of our models. Wholesale prices from just three products! It’s enough to test you demand and start full-fledged beneficial cooperation! We deliver with any logistical agent convenient to you. Shipment of available products in just one day! We design our own models, use only natural brocade materials and trendy patterns for trendy moms. Our models are the lightest and the most compacton the Russian market. Our products are certified by the Customs Union. Replacement of faulty goods – up to 14 days from sale to the end user! We will make sure you are satisfied. If one of our products is not available, but we have all the needed materials… we are ready to fulfil an individual wholesale order in the shortest possible time. Just up to ten days for the small individual orders! – and manage your email subscriptions.